The Order was Hospitaller in that its origins allegedly stem from a leper hospice founded in Jerusalem in the 4th or 5th century. The Order, according to some historians, was first established during the time of Saint Basil, with the founding of its first hospital in the city of Ptolemais (Acre). Other authors state that the source of the name of the Order stems from the fact that the Order was started by a group of Armenian monks who worked under the Rule of Saint Basil, and that their work was primarily to look after lepers. Due to this very contagious work, these monks were given quarters outside the walls of Jerusalem and their 'hospice' was established near to the Gate of Saint Lazarus, or, as it was referred to, the postern of Saint Lazarus. It is thus due to this geographical location that they became known as the Order of Saint Lazarus. The majority of historians, however, agree that such claims of continuity from remote antiquity was in effect an apocryphal pretension so that the Knights of Saint Lazarus pass as the oldest of all the Orders, especially since they became, in a very short time, expert Hospitallers and carers of the ill, lepers and needy. Despite its subsequent military role, it remained primarily a Hospitaller Order, operating a worldwide network of hospitals and Lazar Houses, and sending aid to wherever there was sickness and suffering, maintaining or supporting leper hospitals and Lazarettoes. With the loss of the Holy Land in the Crusades, the Order of Saint Lazarus continued operating in Europe, albeit in a more non-centralised manner. Historical documentation proves that certain areas of Lazarite operations, such as those operating in the area today referred to as Great Britain, went on with their Hospitaller work with little or no communication with the rest of their brethren in France and Italy. In Italy, the Order was diluted in strength and eventually merged, with papal blessing and guidance, into what is today referred to as the Order of Saint Maurice and Saint Lazarus and which is still under the Fons Honorum of the Royal House of Savoy as per a number of Papal Bulls on the subject. In France, the Order was instructed on several occasions by the Papacy to be incorporated into the Order of Saint John. However, the French Monarchy took the Order of Saint Lazarus under its protection and later, the same French Monarchy amalgamated the Order with the Order of Our Lady of Mount Carmel by means of a Royal Letters Patent dated October 31st 1608. This amalgamation was accepted by Rome on June 5th 1668 by means of the Papal Legate. 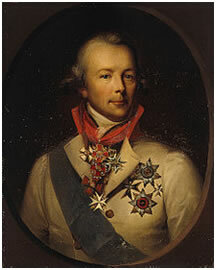 The French Revolution and its immediate aftermath meant the total dissolution of the Order from France. In layman’s terms, the Order ceased to exist. In September 1792, the National Convention met and abolished the monarchy and established the First Republic of France. 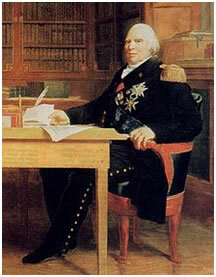 Since the Order had been primarily active in France from the 14th Century it follows that it was subject to all the political upheavals in that country, none more important to the Order than the decree by the Assembly from the Third Estate, on the 30th July 1791, which emphatically stated that all Orders of Chivalry were abolished. To date, the various governments of France have continued to uphold this decree. It is thus due to our constant need for historical accuracy that our chivalric organization emphatically states – in precisely the same manner of language as do all the governments in question, that the medieval Order of Saint Lazarus was thus extinguished in this particular era. Nonetheless, a number of individuals opted, from time to time, to resurrect the aura of the Order of Saint Lazarus. All of these modern day revivals are registered in their various countries of origins as an organization and not as a Chivalric Order. Stating the opposite is indeed considered in legal and historic circles as stating an interpolation and an untruth. Our chivalric organization has nothing whatsoever to do with such twisting of historic facts. Notwithstanding the above, in more recent times, the various reincarnations of the Order were at the forefront of manning and assisting medical centers, hospices, ambulance units and various other humanitarian institutions throughout the world. The Order was chivalric in that it became a monastic Order of Knighthood in the early 12th century. Its ranks held those who were already knights or those of noble birth who received knighthood after entry into the Order. The Order always had the power of conferring knighthood on any person deemed suitable. This ancient prerogative was enshrined in the Act of 1624, which created the category of Knights of Grace, where nobility was not required. This power, to confer knighthood remained unimpaired from the 12th century and needed no recognition for its validity, preceding, as it did, all secular knighthoods still surviving to this day. The United Grand Priories of the Hospitaller Order of Saint Lazarus of Jerusalem are a confederation of independent Lazarite Grand Priories governed by the Supreme Grand Priory which is headquartered in Scotland, Great Britain. Unlike other similar organisations, it is assembled on a regular basis, and representatives of all the Grand Priories jointly decide on the challenges facing today’s Hospitaller works throughout the world. Since the Fons Honorum of the Order of Saint Lazarus was historically extinguished after the French Revolution by means of an official decree by the Paris Commune, the above Grand Priories do not recognize any self-appointed Grand Master or Master General. Since the main and noble aim of the Order is indeed the carrying out of charitable and Hospitaller work throughout the world, it is the policy of the United Grand Priories to leave and assist the independent Grand Priories throughout the world in collecting and distributing funds in their respective regions without the need of burdening such noble work with the uncalled for imposition of unjustified fees. Thus, the history of the United Grand Priories of the Hospitaller Order of Saint Lazarus goes no further back than the year 1995. Whilst emulating the noble virtues of the extinguished medieval Order of Chivalry bearing the same name, the United Grand Priories of the Hospitaller Order of Saint Lazarus of Jerusalem projects itself according to the laws and statutes of the countries where it operates as a fully registered chivalric institution. It is duly recognized as such by all the relative authorities and is proud to have a number of very close relationships with other established chivalric operations throughout the world. 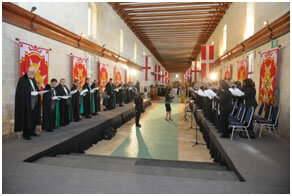 In various regions where it operates, the Hospitaller Order of Saint Lazarus of Jerusalem works hand in hand with local and national government authorities in order to further underline modern-day Hospitaller and philanthropic work. 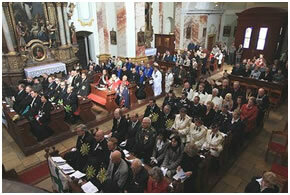 Its primary aim is Hospitaller and philanthropic work throughout the continents. 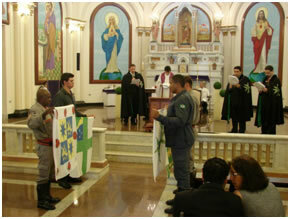 Such Hospitaller work is evident and constant in the continents of the Americas, Europe, Africa, Australasia and Asia. Although cordial rapport is encouraged with other organizations working today under the banner of Saint Lazarus, the United Grand Priories does not form part of Lazarite organizations who unfortunately continue to defy the accuracy of historical records and perpetrate the myth that the medieval Order of Saint Lazarus continued uninterrupted after the French revolution. Additionally, in 2008, the United Grand Priories of the Hospitaller Order of Saint Lazarus, by means of a unanimous vote taken by all of its Grand Priories save one, abolished the self-appointed position of ‘Master General’ of the Order which was unfortunately introduced without the proper statutory consultations. From that time onwards, the expansion of the Order on an international level was encouraged and properly overseen by means of a pro-active Grand Chancellery fully authorized to ensure a Global Lazarite presence. 2. The establishment of the Supreme Grand Prior, duly elected by the Grand Officers of the Supreme Grand Priories to preside on the work carried out by the Supreme Grand Priory. 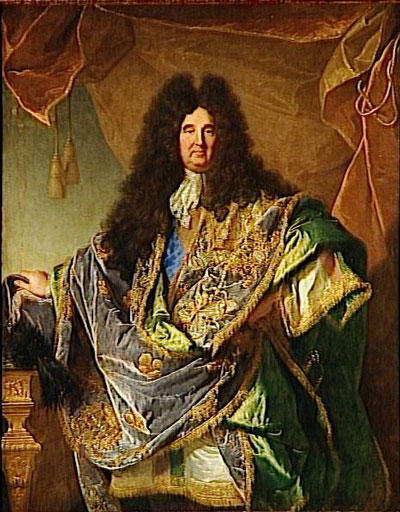 The role of the Supreme Grand Prior thus takes the form of an experienced Chairman to the operation and has nothing whatsoever to do with the various uncalled-for trappings and hyperbolic add-ons which are normally found in other organizations which use the title of Grand Master or Master General. 3. The unanimous agreement within the United Grand Priories that all funds generated from specific regions by the various Saint Lazarus Commanderies, Grand Commanderies and Grand Priories will remain available to be utilized in charitable and Hospitaller works in the region from where they were collected. From 2007 onwards, the Hospitaller Order of Saint Lazarus of Jerusalem expanded greatly in various countries and regions. The Order established itself in 72 different jurisdictions in 59 different countries (as of September 2014) in the continents of North, Central and South America, Europe, Asia, Australia/Oceania and Africa and the Middle East. While most of its jurisdictions are organized as Grand Priories, there are a number of jurisdictions which are somewhat smaller in number and thus are organized as Priories, Grand Commanderies, Commanderies and Delegations. 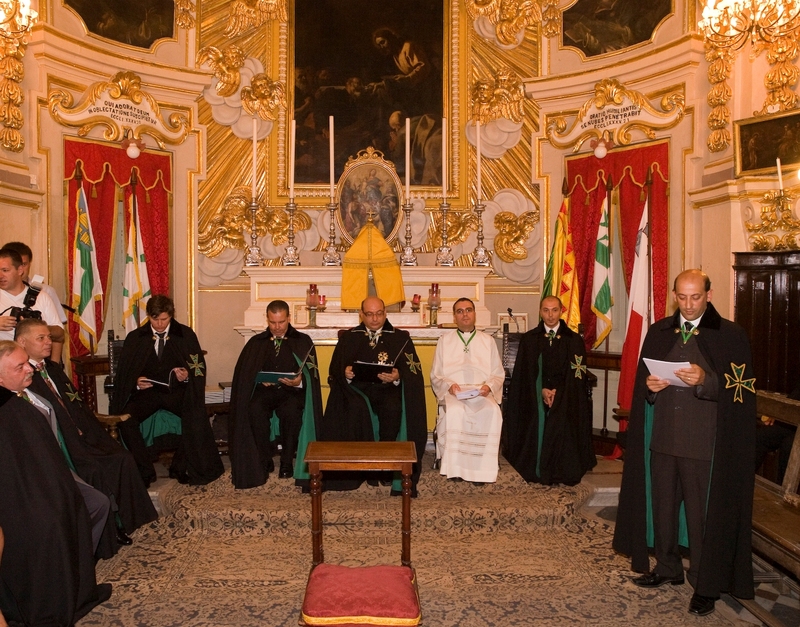 The year 2012 also saw the Sacred Medical Order of the Knights of Hope unanimously voting to join the United Grand Priories of the Order during the International Lazarite Symposium held in April in the ancient Sacra Infermeria of the Knights of Saint John. The Sacred Medical Order of the Knights of Hope is registered in Ecuador and works world-wide in direct, hands-on medical and Hospitaller work with the needy. In January 2014, after two years of close synergy, Humanity Healing International, a 501C3 charitable organisation registered in the US and operating mainly in Africa and the Indian sub-continent, also joined the United Grand Priories. 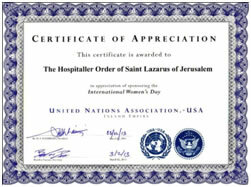 With these influxes of Lazarite synergy worldwide, most of the Grand Priories of the United Grand Priories are also very active in aiding and assisting the country branches of these organisations, hence being given constant support services from both our administrative structures in order to ensure concrete Hospitaller and philanthropic work all over the world under the Lazarus banner. This synergy effectively ensured that the United Grand Priories of the Hospitaller Order of Saint Lazarus became one of the largest, if not the largest, Lazarite organization worldwide with an international membership of 14,000 brothers and sisters worldwide. The Order’s international presence and activities were also noted within several international structures. The United Grand Priories of the Hospitaller Order of Saint Lazarus was accepted and listed as a Non-Governmental Organisation within the United Nations and is also an active member of several international and European fora, including organisations working with the Council of Europe. In 2015, by means of its American based 501C3 charity organization, Saint Lazarus also joined Amnesty International. It has been the policy of the United Grand Priories of the Hospitaller Order of Saint Lazarus to constantly present the history and ethos of the Order of Saint Lazarus throughout the ages from its crusading past to the present day in an undiluted and non-interpolated manner. We actively ensure that people interested in Saint Lazarus operations in the 21st Century understand that it is a proven historic fact that the medieval Order of Saint Lazarus became extinct immediately after the French revolution. For these last decades since the founding of the United Grand Priories in 1995, we have humbly sought to emulate the Hospitaller tradition of the medieval Order by means of an international chivalric organization, fully compliant with the laws and regulations of the jurisdictions in question, and without the need to manipulate history in order to project an inaccurate account of a wishful Lazarite past. It is, we believe, primarily due to this sincere approach to our members and patrons that one can understand why the United Grand Priories of the Hospitaller Order of Saint Lazarus have grown to be the most active and the most expanding Lazarite chivalric organization worldwide. The Hospitaller Order of Saint Lazarus has, three times to date, published thorough and extensively researched historical works related to the Order's history from its foundations in the Holy Land to modern day operations of the revived Lazarite organisations. By far the most sought after historical publication, entitled 'The Sword and the Green Cross', was published in February 2011 in the US, is available from all leading international book distributors, including Amazon.com, Authorhouse, Barnes and Noble and other prestigious operators. The publications of the Order have been also translated into the Russian and Greek languages.